Chimimeca Polska Sp. z o.o. is a leading supplier of products and services in chemical cleaning of metals. 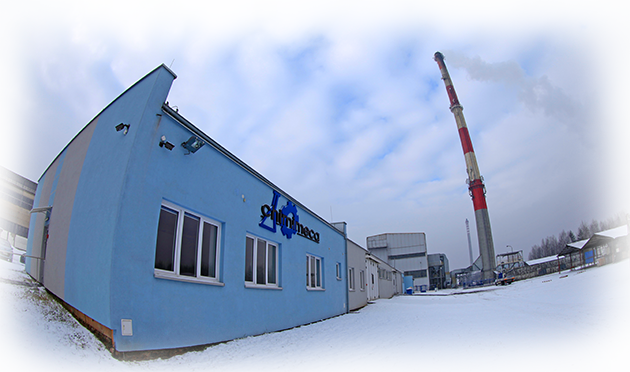 The Polish company was established in 2003 and in a short time became a market leader. A long-term experience has resulted in a wide range of products for cleaning, pickling and passivation of stainless steel, aluminium and titanium. Our offer is adjusted to the needs of both smaller and large enterprises. For untypical materials, the products are selected by our specialists in our laboratory. We can understand and solve all problems encountered by our customers, and that’s why we want to be the long-term, reliable and essential business partner. Our mission is mainly performed by providing the extensiveness of services, high quality and favourable delivery dates which are the base for our customer’s satisfaction. We can offer high-tech products satisfying our customers’ requirements in the area of chemical treatment of metals. We hold the Certificate for Quality Management System ISO 9001:2008 and the Certificate for Environmental Management System ISO 14001:2004. Our products can be used to perform finishing treatment of equipment. The equipment will be cleaned, protected against corrosion and ready for use. Our products have Material Safety Data Sheets prepared in accordance with binding CLP (Classification, Labelling and Packaging) provisions. 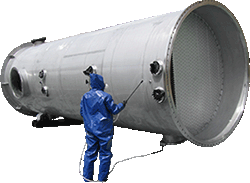 cleaning and pickling of tanks, constructions, processing equipment, cisterns, heat exchangers, etc. cleaning and disinfection of process lines and tanks. We provide consultancy services for cleaning, pickling and passivation. Browse our website for products or just contact us directly via phone. Our employees will provide you with professional information on chemical agents and an adequate selection of treatment method. Our sales representative can present a full range of our products at your request and at time convenient for you.